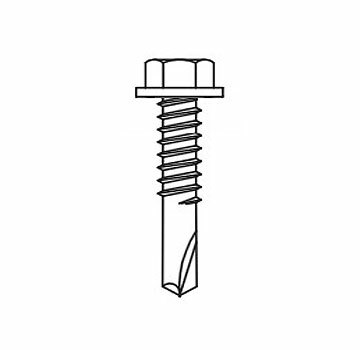 • Precision cold forged assuring superior point strength and the fastest drilling time performance through high strength steel and nested purlins. • Galvanized finish (zinc plated). • Designed and engineered to have low driving and thread engagement torque and provide maximum clamp load.